If there’s one thing that politicians and the public can agree on, it’s that American education needs change. The issue though, is that no one can agree on how that change should be brought about, or what this change should look like. Towards that end, it might be instructive to look at how American education differs from other countries, and take into account the advantages of different education systems. Enter a Japanese classroom, and you may be surprised. Though Americans may associate Japanese schools with rote memorization and drill-and-kill, Japanese math classrooms are actually lively, vibrant, and cooperative spaces. Ironically, many of these changes to the Japanese math curriculum came from guides published by the National Council of Teachers of Mathematics, a US-based group. And the progress shows. In one fifty-minute math class at an elementary school in Kyoto, students were granted a considerable amount of autonomy, tackling problems head-on in small groups as well as sharing, identifying, and correcting each other’s mistakes. Throughout it all, however, the one constant was discussion: the class discussed various solutions and methods for solving the problem, speculated on why and how groups arrived at different answers, and even corrected each other’s equations and solutions. If anything, the teacher seemed to lecture less, and assume more of a facilitator’s role, guiding the discussion along with key facts, calling on participants, and stepping in to moderate if behaviors got out of hand. But it’s not just students who work side-by-side. Teachers collaborate in planning lessons, reviewing materials, and evaluating their success and failures, a practice termed jugyokenkyu, or “lesson study.” As Elizabeth Green notes in Building a Better Teacher: How Teaching Works (and How to Teach it to Everyone), Japanese teachers spend considerable time dissecting minute-by-minute details concerning student behaviors, areas of misunderstanding, and problem solving. The key to jugyokenkyu is that teachers should not work in isolation, and that group reflection and support is key to improvement, and eventually, mastery for both students and teachers. Still, for those who are unused to such a process, it can be daunting, especially when veteran teachers pore over even the finest details of a lesson. But in almost all the studies of jugyokenkyu in action, lesson study sessions in Japan are not intended as punishment, but instead focused on improvement, and on what can be done better. Those who have worked in American classrooms will note that this is a radical difference. Perhaps because teaching is so often seen as an individual pursuit, many American teachers are often concerned by evaluations from both peers and administrators. Put simply, unlike other countries like Finland, there just isn’t an equivalent culture of cooperation and collaboration in American schools. While China was one of the top ten countries on the PISA, its scores are incomplete: the Chinese government only tested students in the thriving coastal regions of Jiangsu, Shanghai, Guangdong, as well as the capital of Beijing, which is roughly analogous to the United States only counting the areas along America’s prosperous eastern and western seaboards. Still, an examination of China’s math curriculum is very telling. Like Japan, China has also made wide-ranging reforms to its math curriculum, based primarily on the recommendations made by the NCTM. Among these changes are simple ones, such as reorganizing classrooms to encourage group work or lesson study sessions involving master teachers and their newer charges. Also, note that professional development has specific time slots set aside, and more importantly, is a good use of time. Not only can teachers engage in lesson study, they also visit (or receive visits) from outside specialists. Asked to break down a typical day, one master teacher estimated that a third of the day was spent lesson planning, another third teaching, and the last third in lesson study or grading. Though Finland’s PISA scores have dropped in this year’s PISA, slipping to 13th place behind tech-savvy, startup friendly Estonia, the nation’s education system still yields valuable lessons for American schools. Now, it’s true that any comparisons between Finland and America are imperfect ones. After all, Finland is a country of 5.5 million people, with 3,450 schools and a comprehensive, rigorous national curriculum. America, on other hand, is home to 320 million people (with considerable ethnic variation) and 14,000 school districts governed by the state, county, or local level. More importantly, unlike Finland, America has “educational standards” instead of a single, unified national curriculum. Even so, Finnish schools offer interesting lessons for the American education system: school days are shorter (unlike China and Japan), teachers are subject to extremely rigorous training, and a lack of high-stakes testing. To top it off, Finnish teachers are carefully selected, highly respected, and undergo a rigorous certification process, while in a host of other countries (including America), teachers are paid less but expected to work more. The disparities are most evident when one considers working hours: Finnish teachers spend slightly over 600 hours annually in the classroom, whereas American teachers average about 1,131 hours. The report goes on to point out the obvious: it’s hard to attract the crème de la crème of college graduates to the teaching profession when pay is so uniformly low. Interestingly, on the 2003 PISA, some Finnish schools found that girls scored even higher than boys did. Part of this may be attributed to a variety of instructional techniques, including differentiated teaching (instructions phrased differently to female vs. male students), interactive, hands-on lessons, and assigning only meaningful, relevant math homework (and not simply homework for its own sake). Ironically, it’s not that American researchers don’t know how to implement outstanding education programs, particularly when it comes to math. 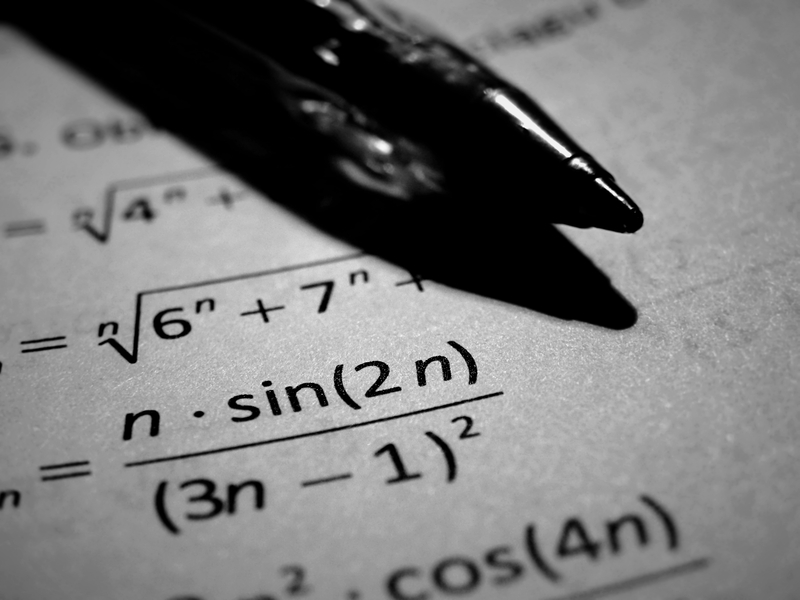 After all, this knowledge exists in many forms, such as the NCTM’s groundbreaking studies, which provided a blueprint for math success across Europe and Asia. While Common Core is a step in the right direction, it’s being threatened by poor implementation and the absence of a culture of collaboration. Among American schools who do practice this sort of collaboration, the results are very telling: from 2009-2013, one such practitioner, the city of Cincinnati, became the highest-ranked urban school district in the state, even as poverty continued to rise. As such, at Swun Math, we advocate learning as a social activity, valuing the student interactions as part of the knowledge acquisition. A fundamental part of our lesson design is meaningful student engagement – having students talk with one another about how to solve problems, build consensus, and present their solutions. We engage students with the Standards for Mathematical Practice to encourage their development as mathematical thinkers. We also lead professional development, provide in-classroom coaching, lead lesson-studies designed to improve teaching and learning. We work with site and district leaders to create learning communities where teachers are encouraged to open their classrooms and invite their colleagues in to further professional learning.